Hinch was playing for Porthmadog in the Welsh League when he was spotted by Tranmere Rovers. Despite an ungainly style and a late start to his professional career, he became an effective forward with a decent goalscoring record, albeit prone to inconsistency. After one impressive season for Tranmere he joined Argyle in a swap deal involving Fred Molyneux and was a first team regular for the next two and a half years. 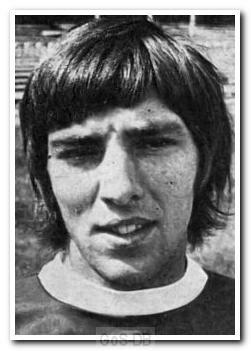 However, with the team struggling early in the 1973-74 season, Hinch was dropped in order to give a debut to Paul Mariner. Shortly after, with no prospect of regaining his place, he joined Hereford United, moving on to York City a year later. Whilst there he had a brief loan spell with Southport and then spent two years with Los Angeles Skyhawks. Returning to England, he was sold to Sheffield Wednesday but only played once for the club before a move to Barnsley. A year later he returned to the States and ended his career playing for the California Surf.